A wide variety of landscapes, vegetation, and a year-round warm desert-to-subtropical climate make Namibia a camper’s paradise. From the red dunes of the dry Western Namib Desert over the central rocky mountains to the humid, green forests of the northeast, all regions offer plenty places to camp. While some campsites are part of a commercial farm, others are attached to luxury lodges. 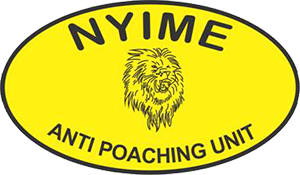 Certain campsites operate on their own in beautiful, remote areas. The majority of campsites have amenities like hot water, washrooms with flush toilets and an increasing number offer 220V power points. 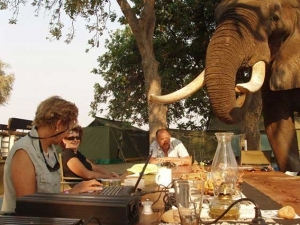 Driving and camping holidays are very popular in Namibia because of their affordability and adventurous character. They give you great freedom of movement and allow you to explore parts of Namibia seldom visited. In your own time, in your own way. You’ll never have felt so close to nature. 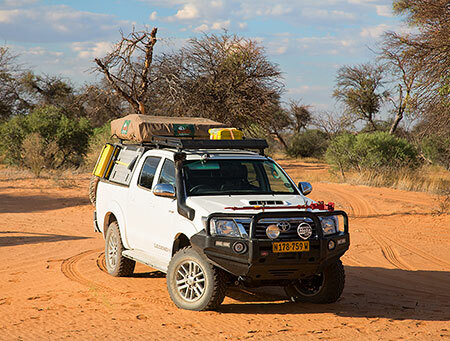 At Safari Car Rental we equip our camping vehicles exclusively with 1.4m wide roof tents (the width of a double-sized bed) instead of the standard 1.2m tents other car rentals provide. Our 1.4m tents offer you the ultimate convenience in camping and a far more relaxed sleep. For families we can even install a 1.6m wide roof tent (the width of a queen-sized bed) so you can sleep with your little child comfortably in between you at night. Watch this short movie to see how easy it is to set up camp. For your comfort and peace of mind we have satellite phones available for rent. 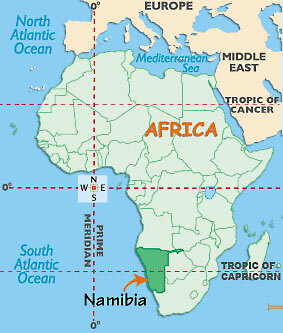 Our cell phone network in Namibia does not cover many remote areas. If you would like to be guaranteed of communications everywhere and at all times please mention this in your web enquiry form or email, and we will include a satellite phone for you in our offer. For groups we have 2-way radios available so you can stay in contact with your friends in the other vehicles during your trip. Our professionally equipped off-road vehicles with their comprehensive camping packages will allow you to go farther, longer, more comfortable. Enjoy your campfire! Mind if I join you for breakfast?